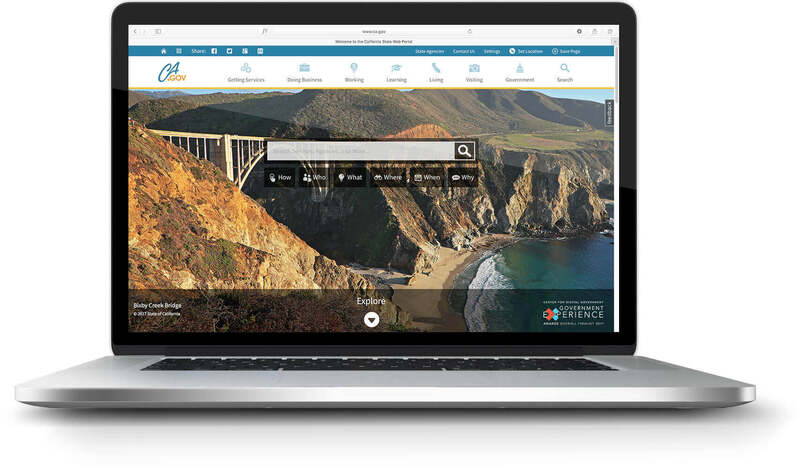 SymSoft web designers and CMS developers built the California dot gov web portal using Sitecore personalization and content management, powering the state portal for the 5th largest economy in the world. Personalization is a system of automated rules used to show contextually relevant content to different website visitors based on their browsing behavior. The website is optimized for display across multiple devices and is compliant with Section 508 and WCAG 2.0 accessibility standards. 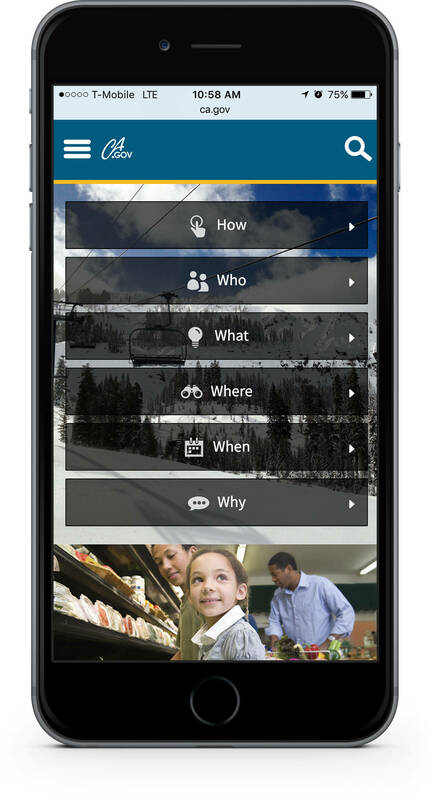 The State of California needed to help Californians find services quickly based on their specific needs and locations in order to increase customer satisfaction and drive cost take-out through digital containment. With hundreds of agencies and departments serving content and online services to tens of millions of citizens, this requires business user web content publishing on a massive scale. Just to keep it interesting, this has to be done while maintaining their unwavering commitment to “accessibility for all” – compliance with the American’s with Disabilities Act (ADA Section 508) and Web Content Accessibility Guidelines (WCAG). SymSoft Solutions collaborated with the State to create a robust website and digital government portal solution using the Sitecore Experience Platform (XP). We worked across departments to define the next generation user experience, balancing visual appeal with high front-end performance and adherence to accessibility requirements. We then worked closely with State technology subject matter experts, implementing the Sitecore XP solution including Sitecore Personalization to increase relevance and engagement. The Sitecore XP implementation was engineered by SymSoft to allow content authors across one of the largest web publishing organizations in the world to login securely and manage their content using Sitecore XP. The SymSoft Sitecore solution helps State and Local Government publish time-sensitive content and provide access to an increasing array of digital services. This enables consumers to quickly find what they need using their desktop, notepad or mobile phone, from renewing vehicle registrations to finding a job, keeping the Golden State at the forefront of the Digital Citizen and Open Data Transparency movements.